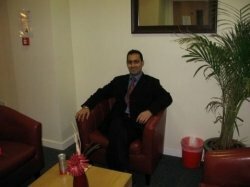 Academically proficient with MBA in International Business (Merit) from Coventry University, UK with Professional diploma in Computer Application from Georgian College, Canada. A technically sophisticated, highly motivated and result oriented with 8 years of rich experience in the filed of Marketing B2B, Business development, Strategic Planning and International Business at an International Platform, currently seeking a new position as an Business Executive. A strategic thinker with a flair for charring out strategies for marketing, business promotion and contributing towards the success of business and enhancing business volumes and growth and achieving the profitability norms. I have been working with a Training Company providing training to the corporate employees and also individuals in B2B marketing, Data Mining, Sales. Tuting is more of an intellectional interaction between a tutee and tutor. It helps building the basic approach to reach the advance level by understanding the tutee requirement and delivering it in a best possible service.